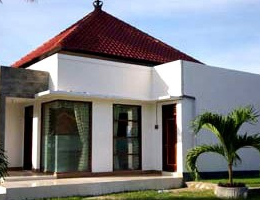 Aman Gati Hotel Lakey Peak Sumbawa. 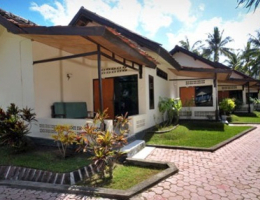 Sleep 2 person in Twin beds fully air-conditioned, Standard A/C room is fitted with TV and a private terrace overlooking the gardens and Swimming pool en suite bathroom provide hot shower facilities. Aman Gati Hotel Lakey Peak. 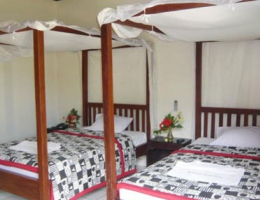 Sleep 2 person in Twin beds fully air-conditioned, Ocean View A/C room is fitted with LED flat satellite TV and a private terrace overlooking the gardens and Swimming pool en suite bathroom provide hot shower facilities. 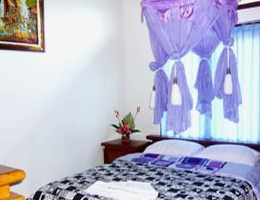 Sleep 3 person in 3 beds fully air-conditioned, Triple A/C room is fitted with TV and a private terrace overlooking the gardens and Swimming pool en suite bathroom provide hot shower facilities. 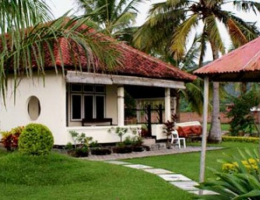 The beach Bungalow is equipped with Sleeps 2 person in Twin beds and en suite and has direct ocean views, included full Breakfast . 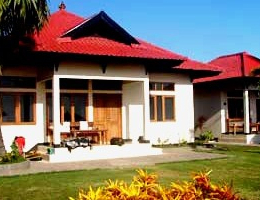 Located directly in front of the famous LAKEY PEAK and a short walk to other surfpoints. This is by far the best place in Lakeys to stay. 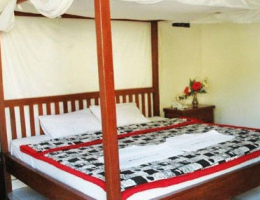 Sleep 2 person in King Size Double beds fully air-conditioned, Standard A/C room is TV and a private terrace overlooking the gardens and Swimming pool en suite bathroom provide hot shower facilities. 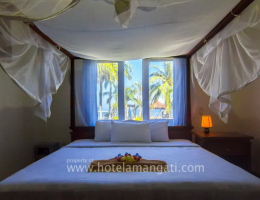 Sleep 2 person in King Size Double beds fully air-conditioned, Ocean View A/C room is fitted with LED flat satellite TV and a private terrace overlooking the gardens and Swimming pool en suite bathroom provide hot shower facilities. 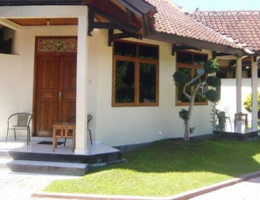 Located directly in front of the famous LAKEY PEAK and a short walk to other surfpoints. 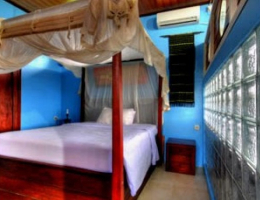 Sleep 6 person in 2 X King Size bed and 2 X Twin beds fully air-conditioned, both with en suites, each room is fitted with LED flat satellite TV and a private terrace overlooking the gardens en suite bathroom provide hot shower facilities. 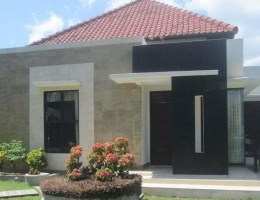 This villa is a beach front with views across Lakey bay. Perfect for families or small group bookings. 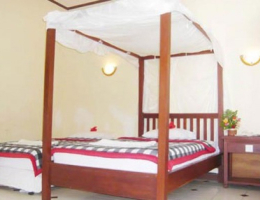 Sleep 1 person in King size beds fully air-conditioned, Standard A/C room is fitted with TV and a private terrace overlooking the gardens and Swimming pool en suite bathroom provide hot shower facilities. Lakey Peak is the most consistently and commonly surfed spot in the area. It is the perfect Indonesian peak. The wave produces a nice barrel from the take-off with the left being the longer of the two. 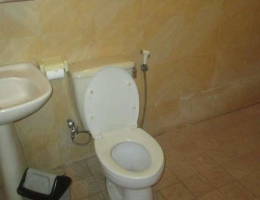 The right is shorter but much meaner and has more of a backdoor section. Sleep 6 person in 3 X King Size bed fully air-conditioned, both with en suites, each room is fitted with LED flat satellite TV and a private terrace overlooking the gardens en suite bathroom provide hot shower facilities. 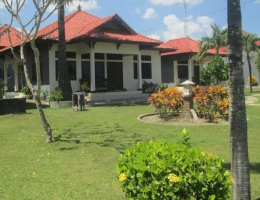 This villa is a beach front with views across Lakey bay. Perfect for families or small group bookings. Deep in the lakey bay, where the natives live in harmony with nature. far enough from the crowds because of the peace and relaxation. 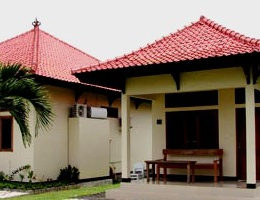 but close enough for every comfort you will find in amangati hotel.Located directly in front of the renowned Lakey Peak Surf Sport and short walk to Periscopes, Nungas Surf Sport and echoes the quite serenity that is Sumbawa. 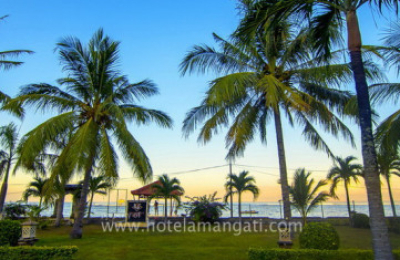 Amangati hotel is the best choice in Lakey beach. 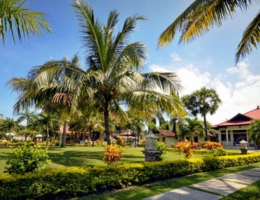 where you can find personal touch and special skills.which lets you say “this is a real paradise resort”. with a very strategic hotel location, right in front of the Lakey peak. in this area is very unique, produce world class wave & ideal for various water sport. 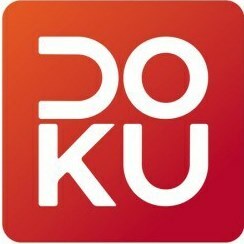 such as surfing, surfing kite. also fishing, diving and snorkeling. or learning to surf. 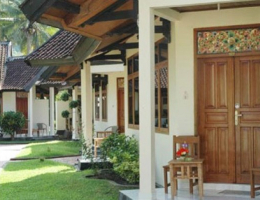 Location in front of the renowned Lakey Peak and short walk to Periscopes. 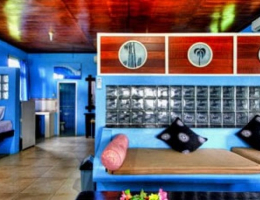 Offering the adventurous surfer a clean, safe and friendly environment to enjoy the unique pace of life in Sumbawa. 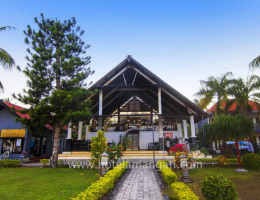 and is the best choice where you can find the personal touch and specialty which enable you to say "This is a real Paradise resort". The beach is often held international class surfing competition, which was attended by many foreign and Indonesian surfers. Not only at the time the competition was held, but were mostly tourists who come to this beach is indeed a foreign tourists who aim to conquer the waves roll Lakey Beach, or just enjoy a splash of sunshine is quite hot. So what are you waiting experience the surf trips, never you get at other places with us.